Same-Day Rubbish Removal is the junk removal solution that you’ve been looking for. Our friendly team is here to help solve your waste problem no matter what it is! We’ll never be beaten on price or quality on the North Shore. Don’t leave your junk sitting there any longer, we offer prompt service throughout Upper and Lower North Shore – call us today on 0402 737 046 for a free quote. You’ll be wishing you had found us sooner. Over recent years the recycling situation in Australia has improved dramatically. Yes, there has also been an increase in overall rubbish production, but at least we are recycling more. Before we get too proud of ourselves, we must take a look at the situation in Sweden. Since 2011, less than 1% of household waste has been sent to landfill – 99% recycled! What is more impressive is that Sweden has started importing junk; it’s cheaper for surrounding countries to send their waste to Sweden than dispose of it themselves! It may be some time before Australia reaches the same level of efficiency as Sweden, but there are some things you can do to make your home or business come close. Sweden encourages people to try and reuse their materials as much as possible before recycling – there may be some creative uses for that old couch! 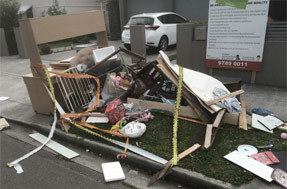 Unfortunately, sometimes things just have to go – that’s when you need Same-Day Rubbish Removal. Same-Day Rubbish Removal dispose of your waste responsibly so that you don’t have to worry! We may not be able to send 99% to recycling, but we’ll do the best that we can. 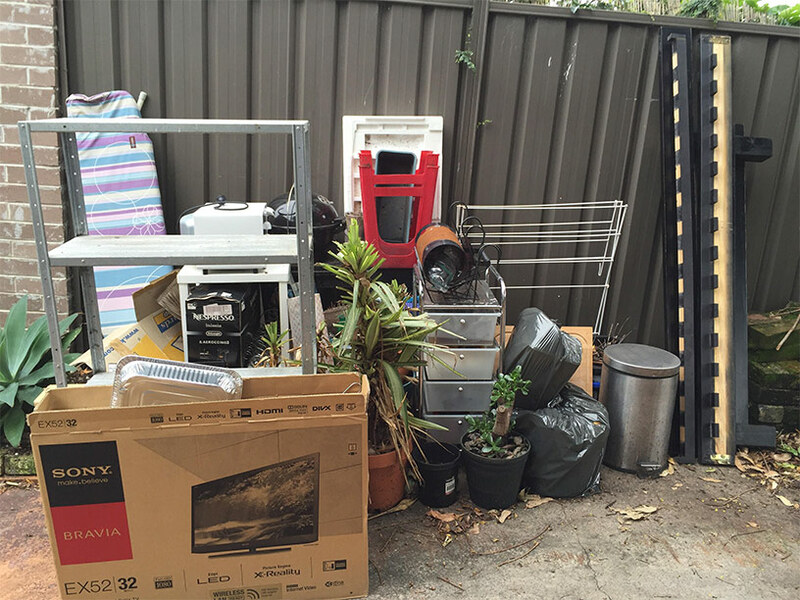 Our team make the job of junk removal so easy for you, no matter where yu're based in Sydney. You’ll be wishing you had contacted us sooner! When you request a job, we’ll send out our truck with some of our friendly team to remove your rubbish problem in no time. All you have to do is let our crew know what to take away. 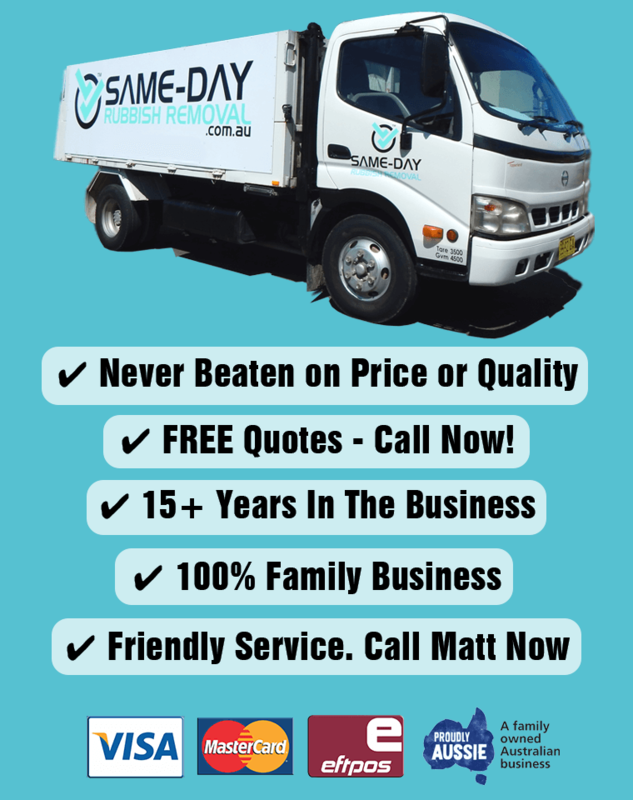 Whether it is large old white goods from your Upper North Shore home or stacks of old office equipment from your business near the Sydney CBD, we’ll remove it all for you. We’ll make sure the area is left spotless so that you’ll forget there was ever a rubbish problem. Same-Day Rubbish Removal offers unbeatable prices and the best service that you will find on the North Shore, servicing all Upper and Lower North Shore suburbs from Chatswood to Hornsby and everything in between. We have streamlined our service in a way that we can offer you the best service at the best price. With decades of combined experience we’ve worked out the most efficient way of removing junk so that we can keep the cost and work down for you. 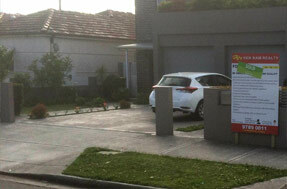 Call us now for a for a free quote on 0402 737 046. Our friendly team look forward to helping you solve your rubbish problem!